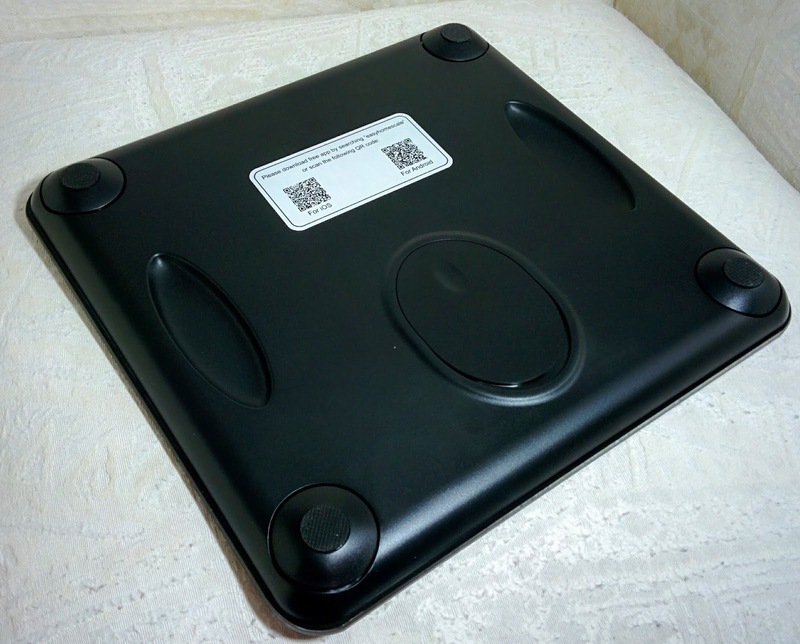 While the Easy@Home Bluethooth bathroom scale is not one of the most feature rich bathroom scales out there, it is one of the more affordable scales there are (when comparing to other similar scales on Amazon). It has a sleek black design and does a good job at its intended purpose; measuring weight. 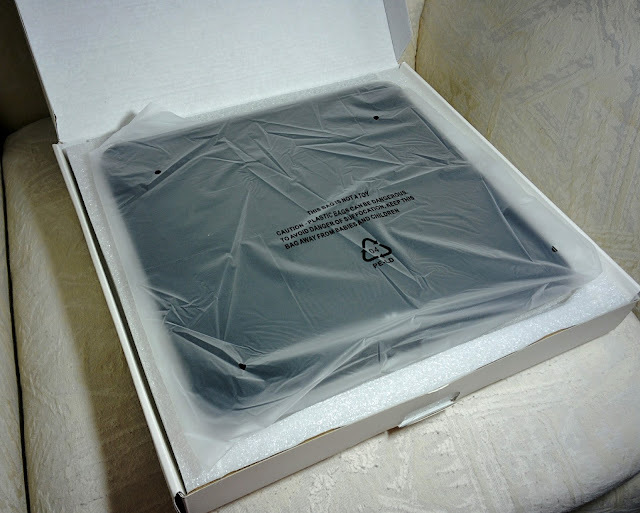 The scale comes in a nice box and is packaged well. It comes with everything you need to get started including the batteries (you simply remove a plastic tab and you are ready to go; no inserting of the batteries necessary). Of all the scales I have ever used, I probably like the design on this one the most, just because of how simple it is. It just looks like a single piece of black glass. You can't even really tell where the display is until it comes on. 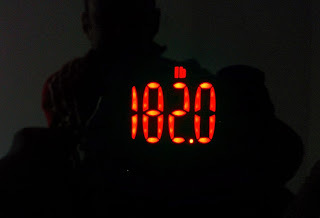 The display is red LEDs which makes this nice if weighing yourself is something you do in the dark in the middle of the night. The display is big enough to read very easily. I did a few different tests to test accuracy. I have a handful of scales and I put this up against my most reliable scale. 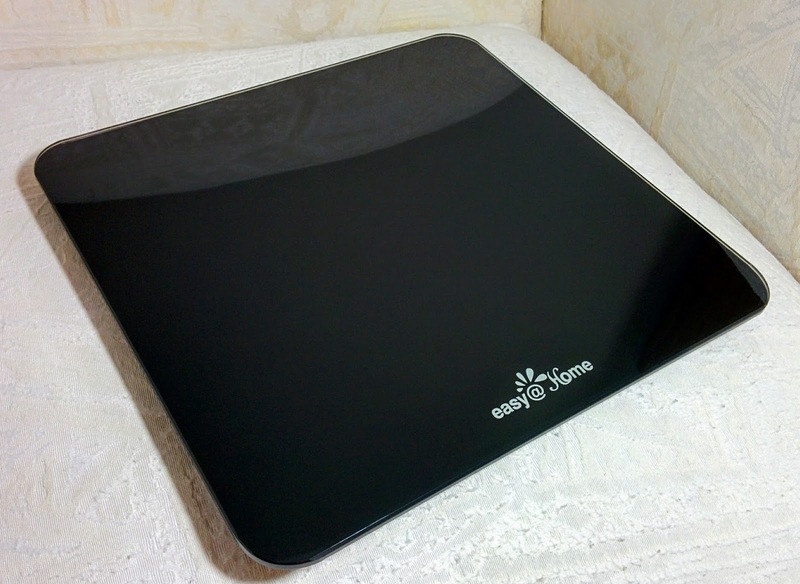 I found that this Easy@Home scale showed a weight slightly less than I was expecting. With all scales, I am not too concerned with this as long as it is consistent (see tests below). 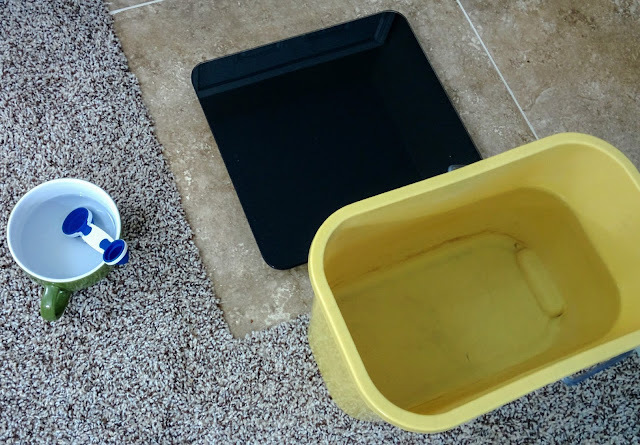 For this test, I got a bucket of water and added .1 lb increments of water (3 tablespoons). This scale is only accurate to .2 pounds. It fared well with this test but similar to other scales I have used, this scale seems to have a memory to only display a certain weight until the scale is off for a minute. For example; if I put 16 pounds of water on the scale, then add 6 tablespoons, the scale should now read 16.2 pounds. This will not happen though until no weight has been measured on the scale for about 1-2 minutes. I think the reasoning behind this programming is so that it does not give inconsistent readings when you step on multiple times in a row. I think this is pretty common with most scales (but I can't say that I like the practice). For this test, I weighed three items separately (me, a water jug, and a bucket of wheat) then added the weight together. I then held each item and stood on the scale while holding the items. The weight added together was only .2 lbs off the weight of me holding each item. Considering that this scale is accurate to .2 lbs, I consider this quite good and accurate (I have done this test on other scales where the weight added together is more than a pound off from me holding the items). One thing of note is that the scale seemed to be pretty consistent with me stepping on it with the exception of one time when it gave a variance of .2 lbs. Considering that this feature is the distinguishing feature from just an ordinary digital scale, I would consider this quite important. The app is easy to find and download. 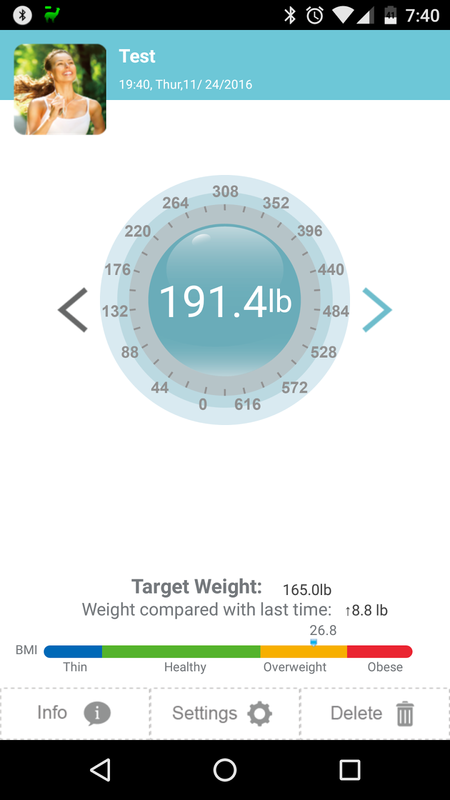 I initially had problems connecting the app to the scale but that was because the app had two scale options, and I chose the option that looked like my scale rather than going off the written description. Once I connected, I had no problem logging the weight using the app. The app has some basic BMI features that make it so you don't need to manually calculate BMI. The app allows you to share data in order for you to export the data but oddly, it only allows you to export a single recording. 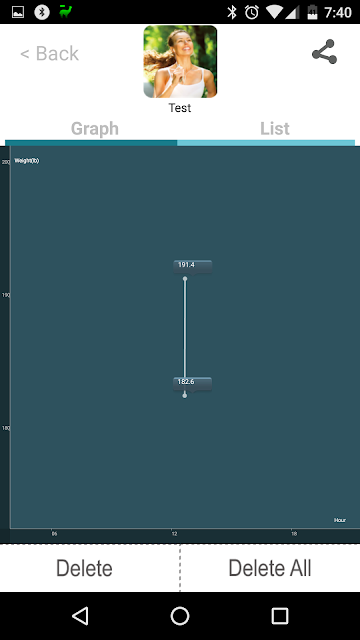 You cannot export all of your weight readings at once. This is fine if you only want the data on the dedicated app; if you want to use the data for anything else however, you will have to do a lot of manual work. 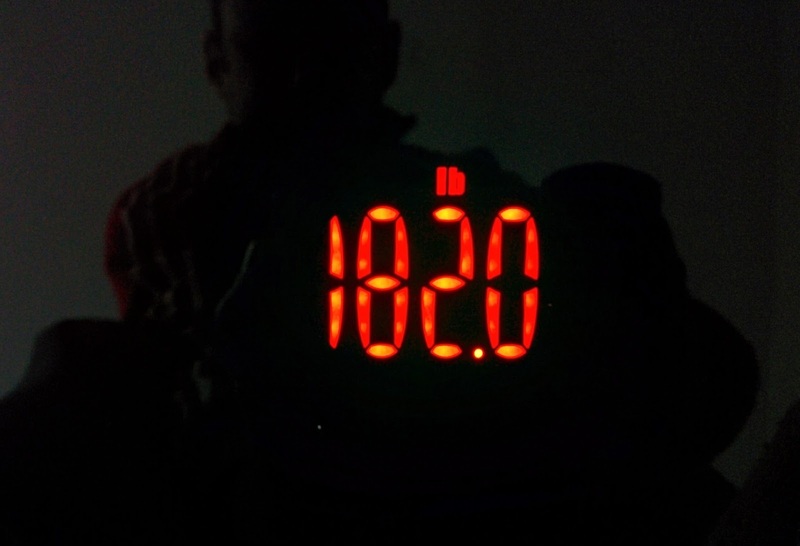 I tried using the scale in both lbs and kilos and it seems the only readout I could get from the scale was in lbs. If I changed the settings to kilos in the app, it would show kilos in the app but still show lbs on the scale. 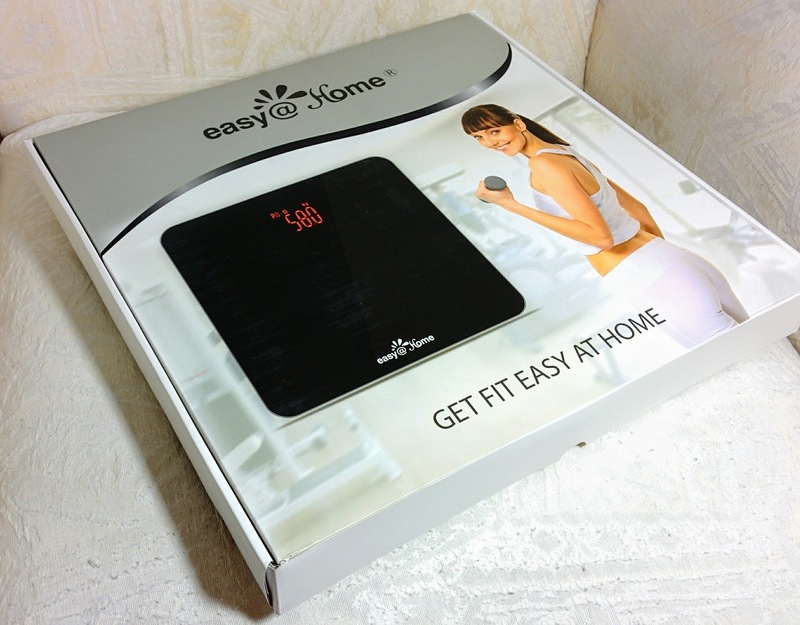 The Easy@Home Deluxe Bluetooth Digital Weight Scale is a decent scale for measuring your weight and seeing that weight on your smartphone. It works well and is competitively priced even if you don't use the Bluetooth features. The main selling points of this scale are the design and price.